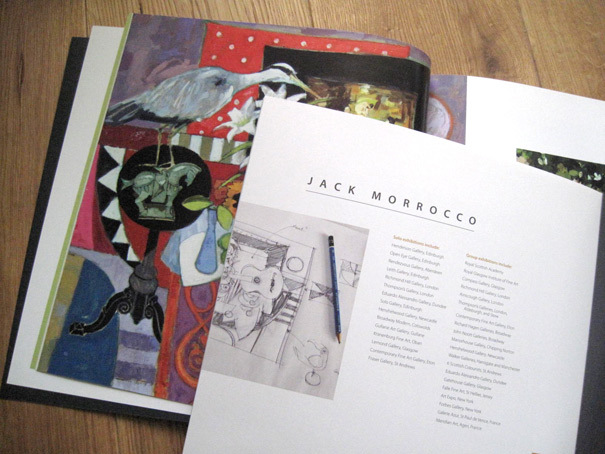 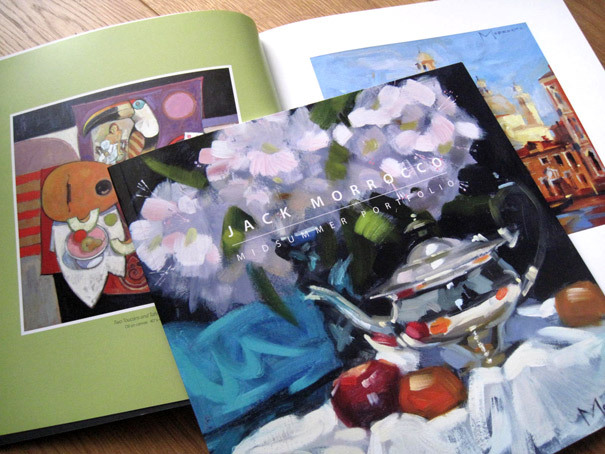 Oil paintings by Scottish artist, Jack Morrocco, form the contents of the latest work for Fraser Gallery, St Andrews. 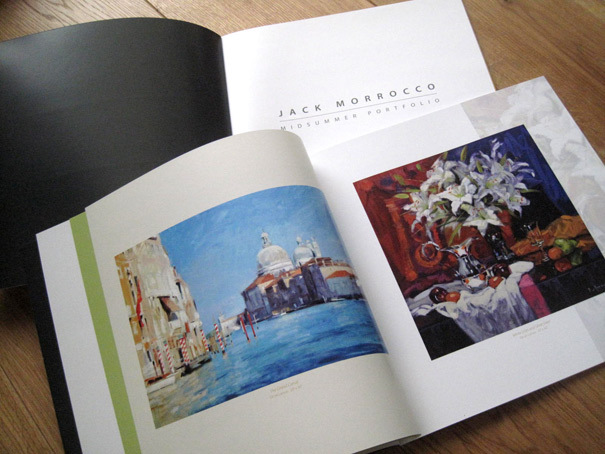 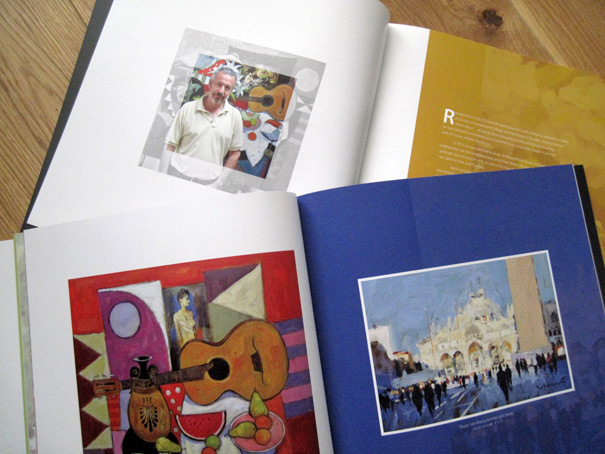 This large format exhibition brochure – 280mm square – provided ample space to show off the artist’s wonderful brushwork and vibrant colours in his exquisite still lifes and lively French and Venetian landscapes. 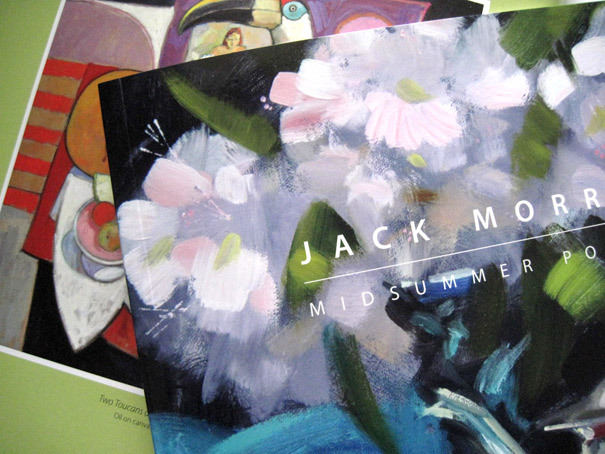 For details of the exhibition, see www.frasergallery.co.uk, a website designed by The Weather, Edinburgh.